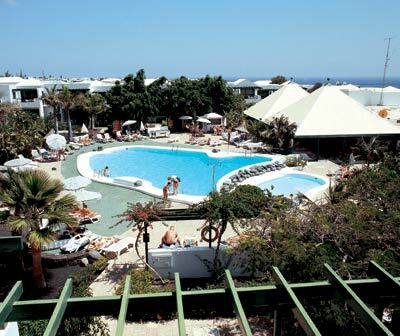 Lomo Blanco, located in the most privileged area of Puerto del Carmen in Lanzarote, is a complex built in a typical Canary Islands style, situated at only 200 meters from one of the most beautiful beaches of the island. These spacious apartments have splendid terraces facing the gardens, which make Lomo Blanco the perfect place to enjoy a quiet holiday and to discover this unique island so beloved by the famous architect and sculptor Cesar Manrique. Restaurant, lounge, bar-coffee shop, gym, table tennis, pool, solarium, self-service launderette, car rental service, games room, massages, satellite TV and safety deposit box.